“Dare to reach out your hand into the darkness, to pull another hand into the light.” Norman B. Rice. I am an Ophthalmologist who attended the Gondar Public Health College in 1965, and graduated in 1970 with a B.Sc. in Public Health. For four years I worked as a Health Officer at The American Lutheran Mission hospital, aka Ras Wollie Bitul Hospital, in Woldia, sponsored by (EEMYC) Ethiopian Evangelical Mekane Yesus Church. In the picture below from left to right are: Dr. James Simonson, Dr. Njenhuis from Holland, Dr. Christopher Hagen, I, and Dr.Robert Haakenson. These are some of the wonderful people I worked with at that Hospital. In 1974 I continued my studies in the Medical School of Zagreb, Croatia, and graduated in 1980 as a Medical Doctor. I did my residency in Ophthalmology at the Zagreb Medical School from 1981-1985. 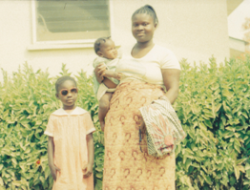 I continued for my Masters of Medicine in Ophthalmology and wrote my thesis on “Onchocerciasis as a Cause of Poor Vision and Blindness in Sierra Leone” (1985 - 1987). At that time I worked with CBM (Christoffel Blind Mission) as an Ophthalmologist at the Lunsar Southern Baptist Mission Eye Hospital, 120Km from Freetown, Sierra Leone. Every day we treated about 100 patients at the clinic and performed up to 50 major eye operations a week. We also had a Mobile Eye Clinics where we treated from 80 to 100 patients daily and performed some 50 major eye operations a week in the surrounding towns. 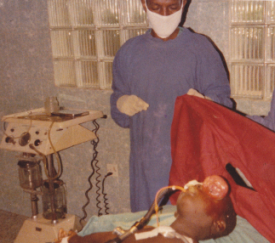 Often we would cross the border to Guinea with the Mobile Clinic and I remember performing one exenterating surgery on a little girl with Rhabdomayosarcoma. I recently heard that the girl is still alive, which may be difficult to believable, but if true is wonderful indeed. The pictures below tell the whole story. In 1987 I returned to Ethiopia and started working at the Addis Ababa University Hospital, the Department of Ophthalmology in the National Program for the Prevention of Blindness, which was supported by the Helen Keller International(HKI) of N.Y., the Christoffel Blind Mission (CBM) of Germany, the Italian Government, ORBIS International,… etc. For three years we trained Ophthalmic Medical Assistants (OMA). I supervised and supported many eye clinics in many parts of the country for eight years. I have also organized Mobile Eye Camps supported by the Israeli Government and the Lions Club of Addis Ababa. Furthermore I am a member of the Ophthalmological Society of Ethiopia, the Ethiopian Public Health Association, as well as the Ethiopian Medical Association. Currently I am planning to establish Ethiopian Friends Eye Foundation (EFEF) to treat many of our people who suffer from various eye diseases including trachoma, cataract, glaucoma, Vitamin A Deficiency (VAD) etc…, 80% of which are preventable. 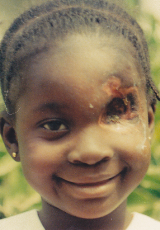 There is also Onchocerciasis in Ethiopia which the Carter Foundation has been involved in the study of the disease. I have seen some patients in the western part of Ethiopia who suffer from Ocular Onchocerciasis with microfilaria in the anterior chamber of the eye but there is no study yet conducted in this area. Telephone 0911 40 10 58. This call is for you, and I need your help in this! 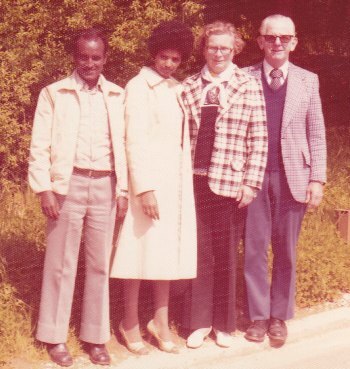 Photo on the left from right to left; Dr. Aberra Embaye and his wife Dr. Assefach Kebede and the late Dr. Christopher Hagen from Edina, Minneapolis and his wife.